Slappey & Sadd, LLC is an Atlanta-based law firm that successfully handles insurance coverage and insurance bad-faith claims. If you are making an insurance claim or are an attorney with questions about insurance coverage or insurance bad faith in Georgia, please click here. You should also feel free to call our insurance bad faith lawyers at 404-255-6677 or Toll-Free at 888-474-9616. Read further below to learn about our Atlanta Insurance Lawyers, our process, our results, and why we devote such effort towards this practice area. What Constitutes Insurance Law/Bad Faith in Georgia? What is Statutory Bad Faith Law in Georgia? Sometimes the insurance company refuses to pay for damage to a home or business following a fire or storm. Georgia has a bad faith statute that protects policyholders in this situation. The lawyers at Slappey & Sadd have experience with statutory bad faith claims and can successfully help you assert your legal rights under the law. Liability insurance is to protect policyholders from legal liability. 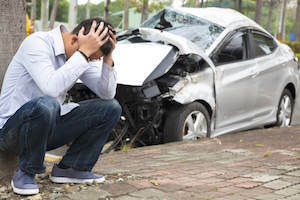 If you are in an auto accident and someone is hurt, or if you get sued by someone who claims that you damaged them or their property, you likely face the threat of legal liability. Often, the only way the insurance company can protect you from legal liability is to settle the claim against you. In Georgia, an insurance company has a duty to protect the people it insures from legal liability by settling the claim against them if the insurance company has a reasonable opportunity to do so within policy limits. Sometimes the insurance company tries to “low ball” a claim and rejects the opportunity to settle within policy limits. Low balling subjects the person insured to unnecessary lawsuits and liability. This is known as “bad faith failure to settle” or “common law bad faith.” The attorneys at Slappey & Sadd represent those who are damaged by bad faith failure to settle claims. Many people and businesses make a claim with their insurance company and are surprised to learn that rather than providing protection, the insurance company can file a lawsuit against them. Such lawsuits are called declaratory judgment actions. When an insurance company files a declaratory judgment action against its own insured, it is usually asking the court to declare that there is no insurance coverage for the insured. Slappey & Sadd is comprised of attorneys that represent policyholders sued by their own insurance companies in a declaratory judgment action. Why Do Insurance Companies Use Examination Under Oath? After an insured makes a claim, some insurance companies will begin a process of delay and harassment, looking for reasons to deny a claim. One tool the insurance company uses is an examination under oath. If your insurance company demands that you submit to an examination under oath, rest assured that the insurance company is suspicious of the claim and looking for a reason to deny coverage. Slappey & Sadd represents insureds to prepare them and stand by them during the examination under oath. We are dedicated to holding profit hungry insurance companies responsible for the promises they make to their clients. If you feel you have been wronged by an insurance company, please contact the experienced Atlanta Insurance/Bad Faith lawyers at Slappey and Sadd, LLC today. The insurance industry has been successful in ensuring that their practices are not overseen by the federal government, but most states do have insurance laws that help to protect the insured. When an insurance bad faith claim is filed the settlement is reached based on the insurer knowing that he or she was acting out the bad faith concept. Not being prompt when responding to enquiries about claims. Refusal to pay up for claims without initiating a proper investigation. Failure to affirm or refuse claims within a certain period of time after the completion of proof of loss statements. Not attempting a fair and equal settlement for claims when liability has been established. Trying to settle a claim for an amount that is far less than anyone would reasonably expect. Trying to settle a claim on the basis of an application which was changed without telling the insured. Initiating claims payments to those insured in the absence of statements outlining coverage which has given rise to the payments. Delaying any investigation or claims payment by requiring the claimant to file a preliminary claim report and later on formal proof of loss forms both of which contain the same information. Failing to settle claims quickly when liability has been more or less clearly established by one part of the insurance policy coverage so as to influence the outcome of settlements under other parts of the insurance policy. Failing to offer a fair explanation when denying a claim or offering of a settlement that is below the insured’s expectation. If you believe you have received poor treatment from your insurer you can initiate under insurance law an insurance bad faith claim. It is simpler and more effective to hire an insurance law attorney who understands the process in your state and will settle a fair damages claim as a result of poor treatment by your insurer. Some state laws do allow for judges to include the attorney’s fees in the settlement but punitive damages are a significant penalty given by judges as they not only benefit the plaintiff but they give a warning to insurers to play fair when dealing with their clients. Most attorneys try to settle insurance bad faith claims out of court but if the insurer refuses to offer a reasonable amount in compensation then the courts will be used to finalize a fair damages claim. In the end a claim once settled favors the claimant as the payment often exceeds anything the insurer is likely to have paid out had the claimant not taken the matter to court. A favorable insurance bad faith claim which results in asking the insurer to pay punitive damages is a wake-up call to all insurers if they play an unfair game with their clients.